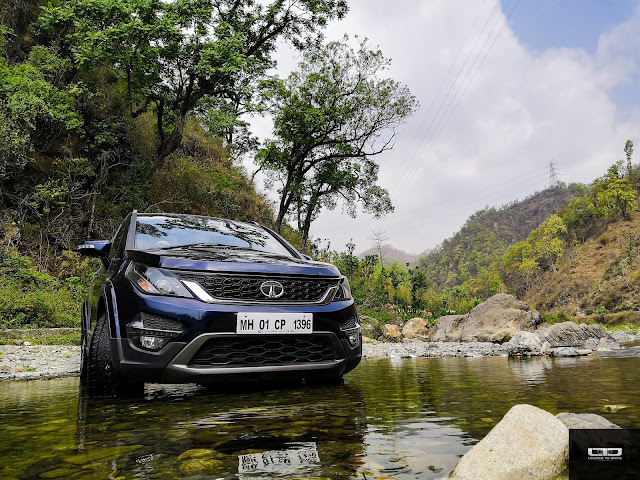 Tata Motors has been on a quest for rediscovery lately in the passenger car & utility vehicle segment, and the company has been making strides in revamping its image. Their portfolio now has a slew of offerings that are smart, practical and aimed at a modern set of buyers, and things definitely seem to be moving in the right direction. So when we got our hands on the new Hexa for an extensive drive-out, it's safe to say we went in with some expectations. 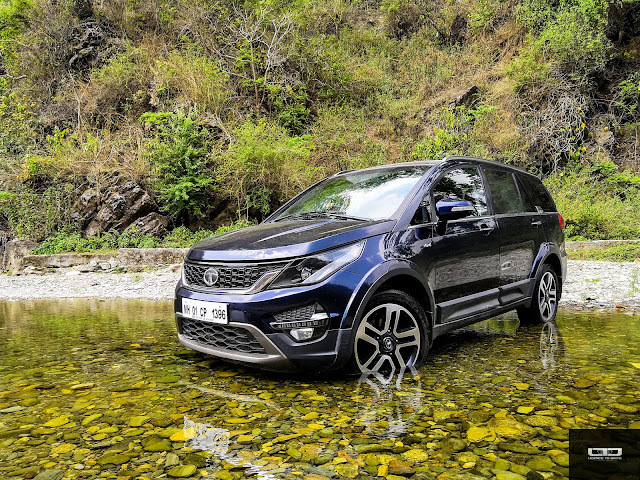 While Tata calls the Hexa an all new vehicle, it is actually a heavily updated version of the company's outgoing MPV, the Aria, with some new SUV like elements packed into it. 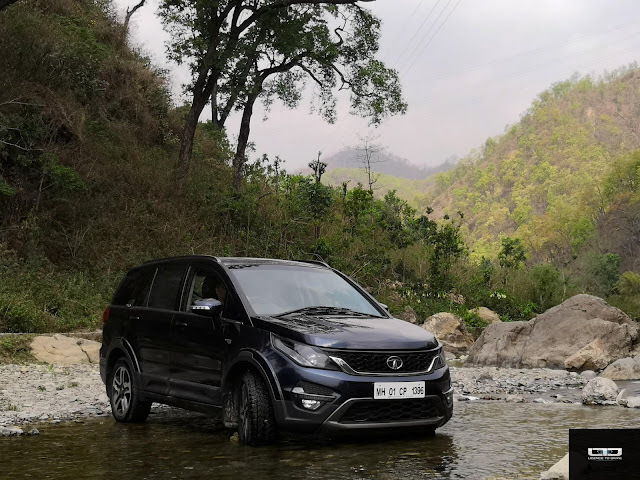 So does the new Tata Hexa live up to its promise of 'whatever it takes to conquer every terrain'? We took the Hexa XT 4x4 on a road trip from Delhi to Lansdowne to find out, covering 600 kms across mountains, highways, valleys and river beds. In terms of styling, the Hexa definitely looks more aggressive and SUV like than it's predecessor. While the Aria was more utilitarian in its appeal, the Hexa makes a solid first impression with its muscular haunches and edgy lines. The sweeping headlamps with day time running lights give it a sharp look from the front, and the upswept grille is a nice touch as well. When viewed from the side, the Hexa looks more like an MPV than an SUV, which isn't necessarily a bad thing. The blacked out pillars give it a distinct look, and the chrome accents on the door handles and Hexa badge add to its premium appeal. At the back, the Hexa grabs attention with its horizontal LED tail lamps and huge chrome slat. The boot lid spoiler is a nice addition as well, and the big dual exhausts add some much appreciated machismo. Overall, the Hexa is a huge improvement over the Aria in terms of design, and while it does share some resemblance, the overall design is now more mature. It looks heavy, solid and well built, and has an impressive road presence. 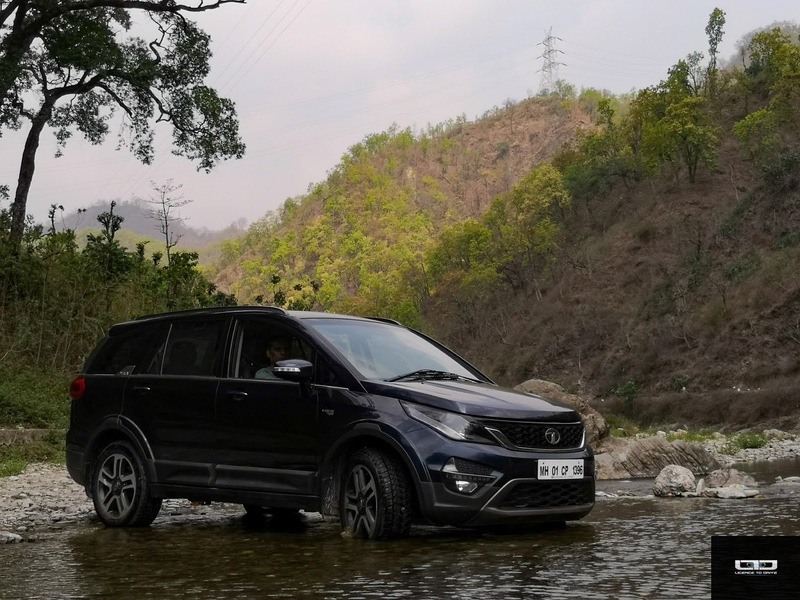 With the Hexa, Tata finally has an SUV that can take on the likes of the Mahindra XUV head on, in terms of design and styling. Inside, the Hexa steps up the game several notches and the cabin pleasantly surprised us both in terms of quality and practicality. The all black interior gives a premium feel, and the overall design and quality of materials is extremely impressive. 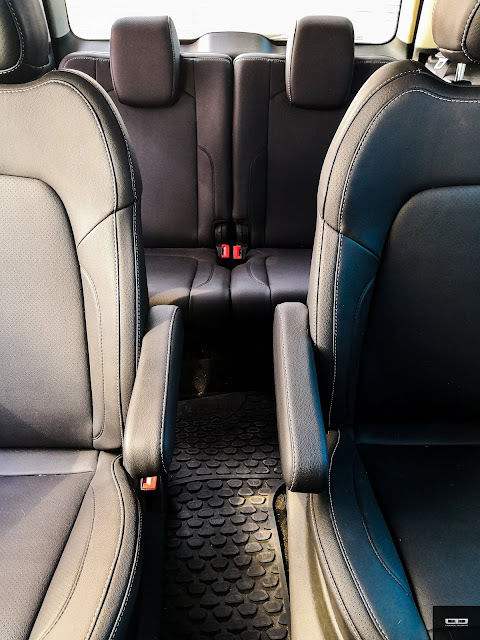 Features including rear park assist with parking camera, automatic climate control, cruise control, individual AC vents for all three rows, and an 8-way manually adjustable driver seat are on point. However, there are a few pain points. The top of the line variant of the Hexa comes equipped with a 5" touchscreen infotainment system which is a bit archaic. Operating a small 5" screen in a biggish vehicle can be quite a task. And when the system itself is not the best piece of technology and sluggish to operate, it can leave you a bit frustrated. Although it offers features like smartphone connectivity through Android Auto and Apple CarPlay, it definitely needs a major upgrade. The 10-speaker JBL sound system too is good on paper, but real world performance is a bit lacklustre. The placement of the speakers and the housing didn't quite seem to bring out the best in them. In terms of cabin comfort, the Hexa scores with its spacious cabin, comfortable seats and several storage spaces around the car. The seats are plush and we liked the dual glove box in the front. The 6-seater configuration with captain seats in the second row with arm rests is definitely a preferred option over the 7-seater model. 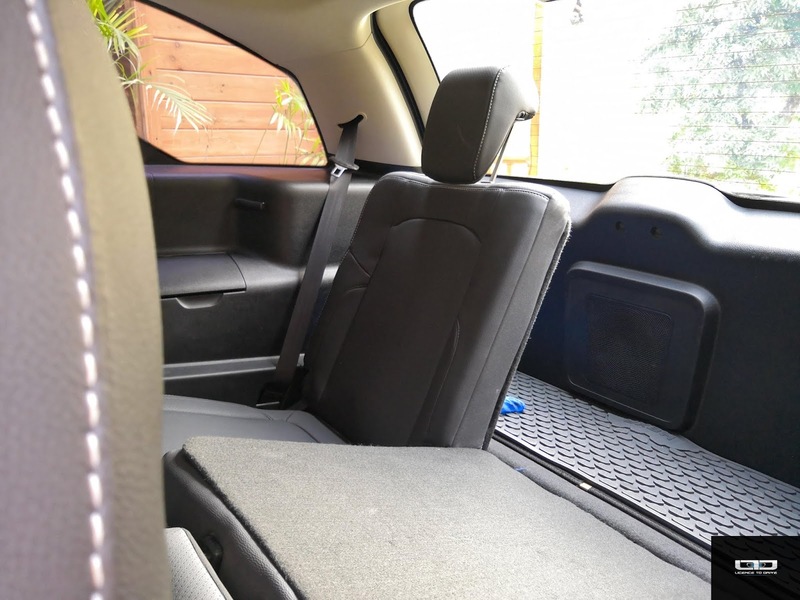 Unlike many other SUVs, the third row in the Hexa is very usable, with ample legroom and storage spaces. 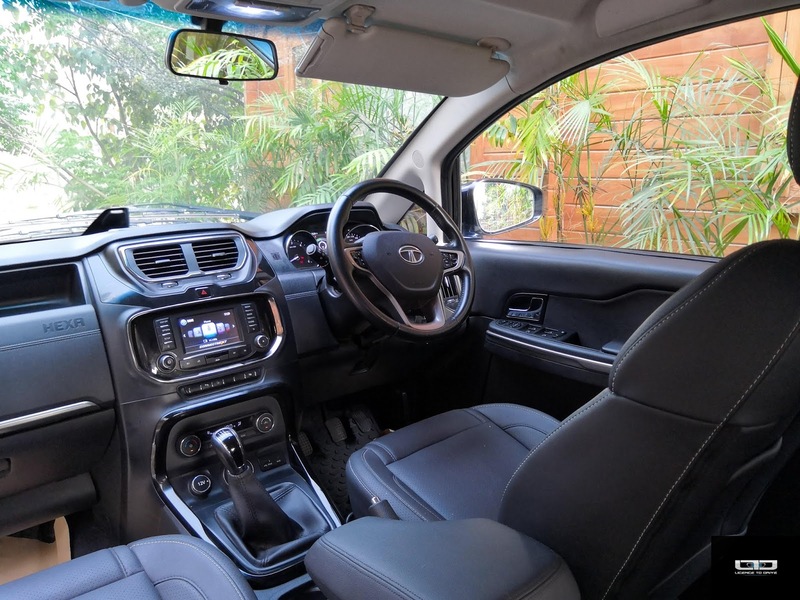 Two adults can be comfortably seated in the third row over long drives, and that is a big advantage in favour of the Hexa. 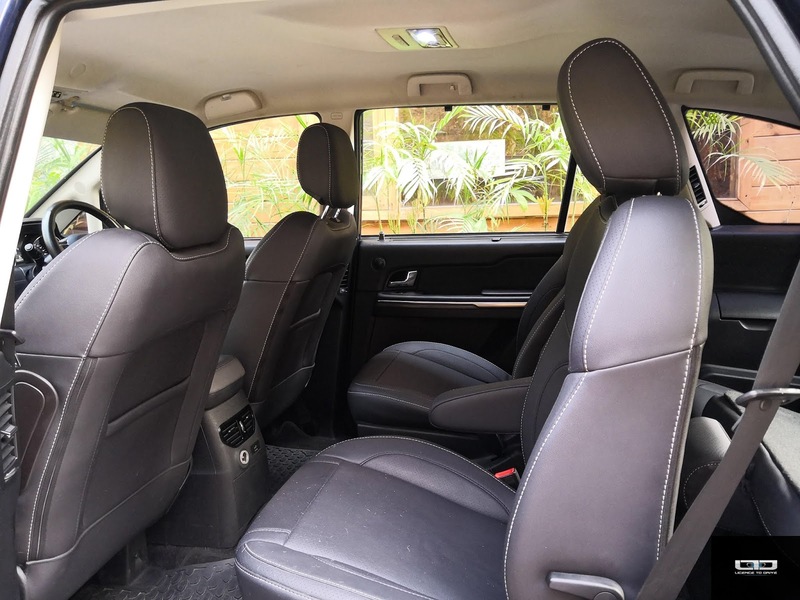 While passenger comfort is top notch, the Hexa does not offer the best driving position. 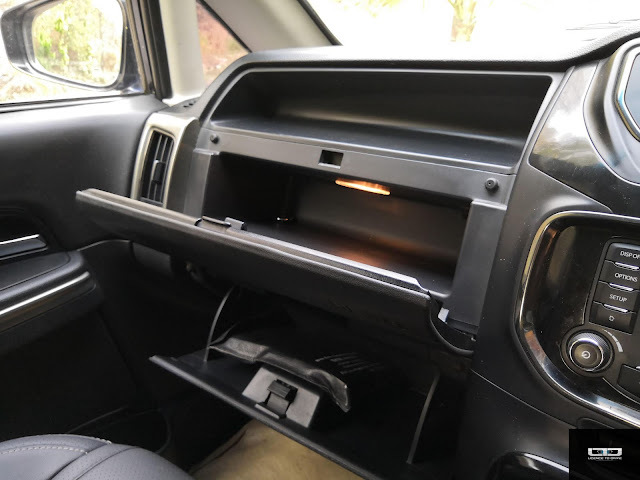 It's a long reach to get to the gear lever, and the lack of a dead pedal in the already cramped footwell is a problem that seems enormous over long drives. The steering angle viz-a-viz the seat position, foot pedals and the gear lever makes you wish you had arms as long as your feet, to be really in the best driving position. The steering comes with only tilt adjustment and not telescopic. 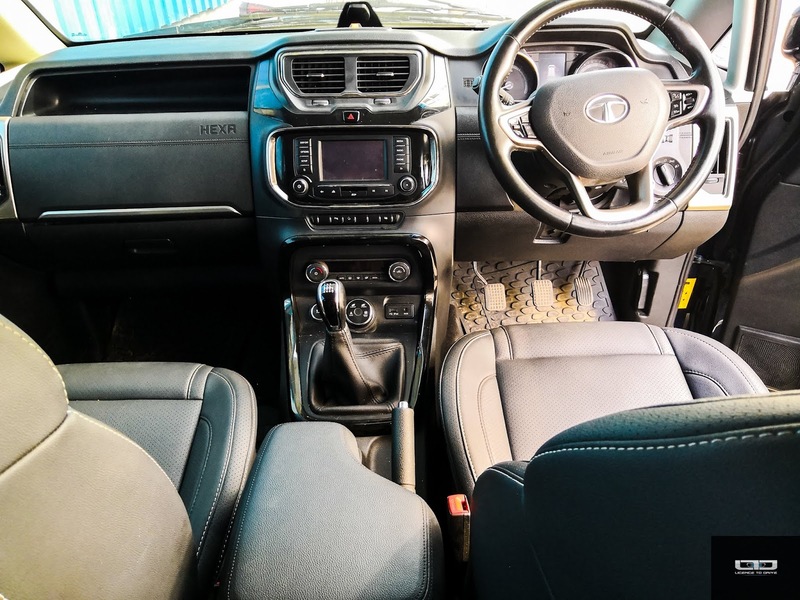 In terms of safety, the Hexa comes well equipped with 6 airbags (front, side and curtain), ABS, electronic stability control, traction control, hill hold and descent control. Our review vehicle had the 2.2 L turbocharged diesel motor, producing 156 PS of power and 400 Nm of torque. While there is enough low-end grunt in the engine, the power delivery in the higher revs is not the smoothest. There is a bit of turbo lag, and the diesel engine seems a bit noisy and unrefined. The rattles finds its way into the cabin, and there is a fair bit of steering vibration at high speeds. Overall, the noise vibration and harshness levels can be a bit unsettling. Being on the heavier side, the Hexa is also a bit sluggish and the engine strains considerably when you floor the pedal. At best, the Hexa can be rated as a competent drive, and it doesn't quite set your pulse racing on the highways. The engine is mated to a 6-speed manual transmission, which turned out to be our least favourite feature of the vehicle. 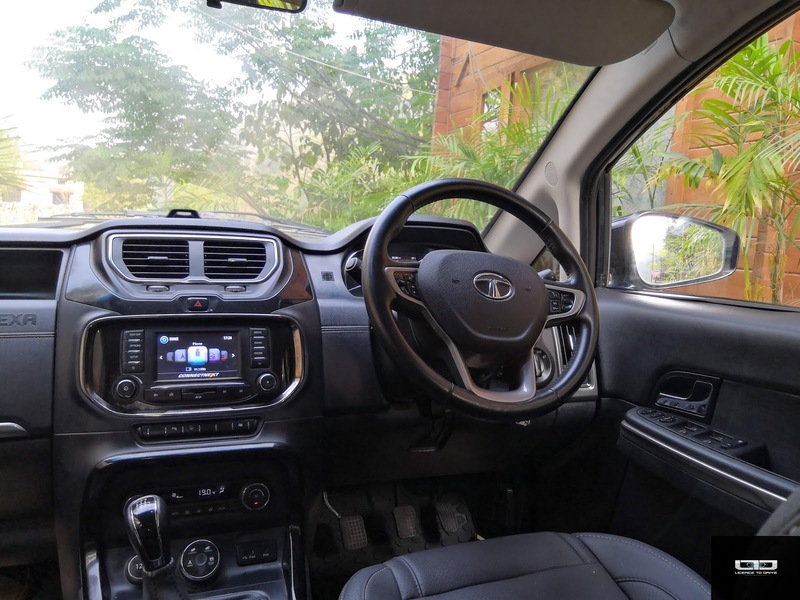 The gearbox is sluggish and clunky, and while the clutch is light, it takes considerable effort to slot some gears in, which makes for a tiring driving experience. The Hexa XT 4x4 comes with Tata's 'super drive modes' - auto, comfort, dynamic and rough road; which alter the throttle response and overall driving feel. 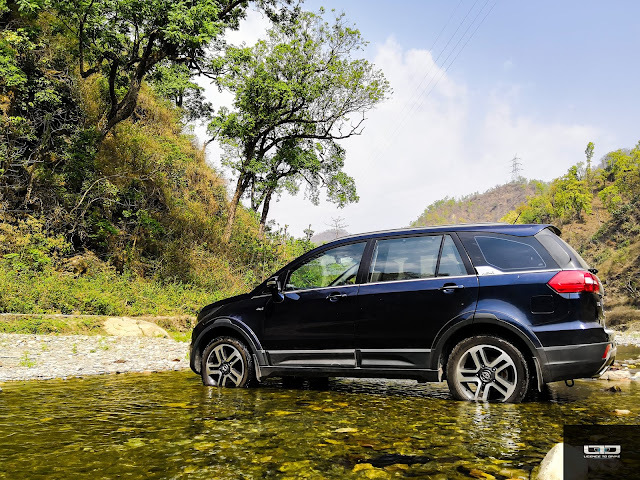 We took it off roading for a bit, and found the Hexa to be surprisingly able at navigating a rather rocky riverbed without any issues whatsoever. The 200 mm ground clearance was confidence inspiring in tough situations though an additional 5-10 mm would have made things even better. 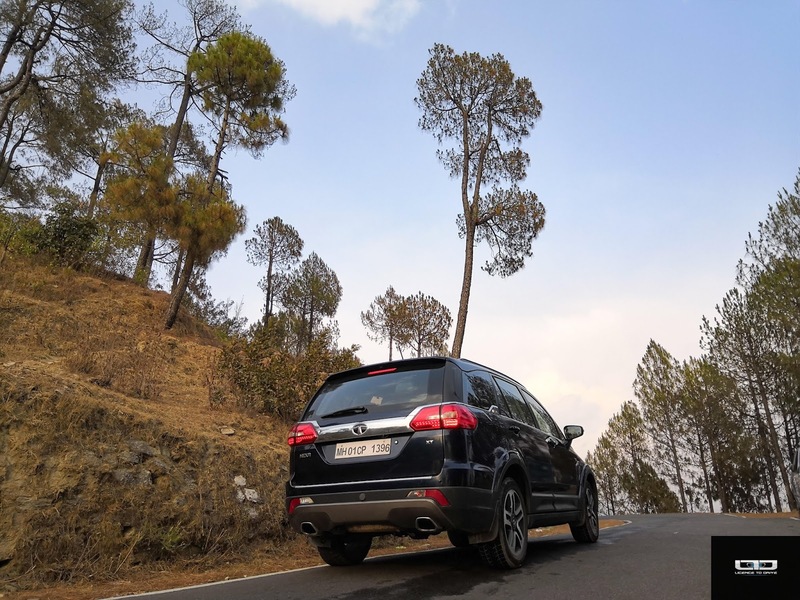 The Hexa has a rather firm suspension, making the ride quality bouncy at the rear. While it absorbs small bumps and bad patches, potholes do seem to rattle the cabin. During our test drive of over 600 kms., the Hexa returned a combined fuel efficiency of 12.4 kms/l. 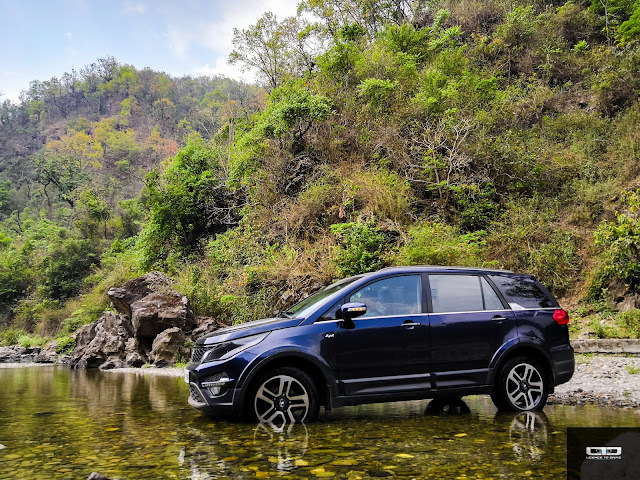 The Tata Hexa XT 4x4 comes at an ex-showroom price tag of INR 17.89 lacs. At that price we would have liked to see a few essentials like keyless entry, an engine start stop button, a sunroof and telescopic steering adjustment. 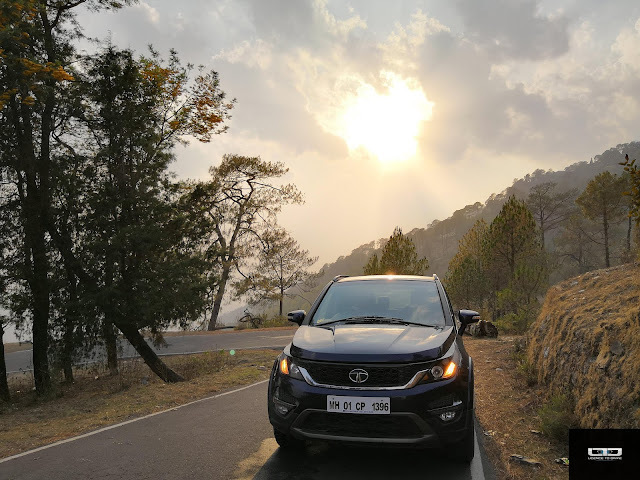 Considering the options available in the market, the top of the line Hexa may seem a bit over priced. Though it is a great attempt by Tata at making an urban SUV, it does miss out on some finer details. 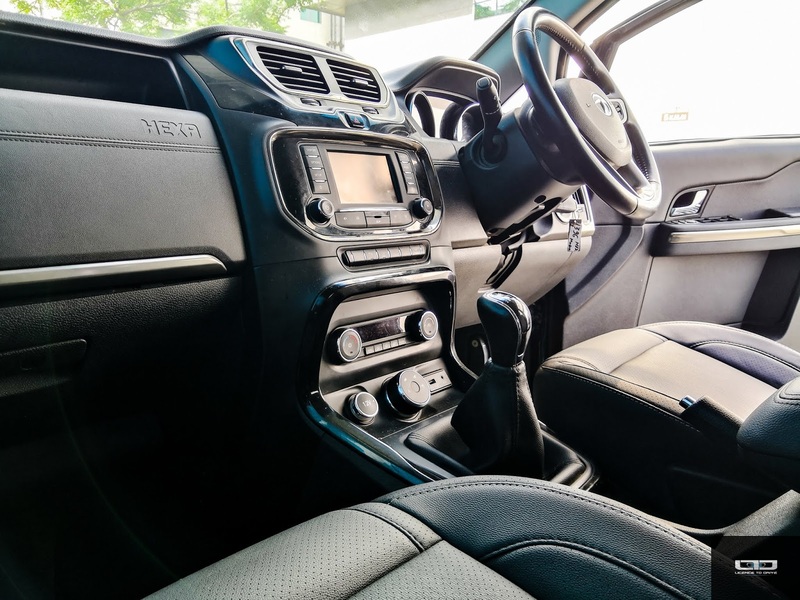 While it has a stylish exterior and well appointed interior, it is a bit underwhelming to drive and feels dated in its choice of technology under the hood. But that doesn't take away from the fact that the Hexa is a huge improvement over its predecessor. The new found focus on cabin quality, overall refinement, safety and comfort is a step in the right direction. At its price point the Hexa faces tough competition, and it's hard to choose it over some of its rivals. But if you want a spacious and comfortable SUV with decent off roading capabilities, the Hexa is worth a test drive. Here's a short film that captures some of the moments as we crossed the river Kho near Lansdowne, and spent some time testing the beast in the middle of nowhere. As they say, when it's a 4x4 the fun actually begins where the road ends.